Frederick Schiller Faust a/k/a Max Brand among a plethora of pen names. Regular readers of this electronic rag know that I frequently profile writers. In addition to dedicating a whole month to poets, I regularly feature almost exhaustive bios of novelists, mostly American. Playwrights, screenwriters, journalists, historians, and biographers get their share of attention. All natural for a guy with a crush on the written word. What might be less apparent is the soft spot in my heart for those literary outcasts, the pulp writers who decade after decade ground out popular fiction for pennies a word as they struggled to make a living. A handful did damned well and became famous and rich, if not respected—think Ned Buntline, Horatio Alger, L. Frank Baum, Edgar Rice Burroughs, Zane Gray, Dashiell Hammett, and a slew of science fiction scribes. Some like Hammett and Isaak Asimov sometimes even finally win the attention of academicians and critics who proclaim them not as pulp writers, but genre fiction masters—so much more impressive sounding. And of, course, they have to acknowledge writers who did both literary work and popular schlock—Edgar Allan Poe, Louisa May Alcott (who preferred her feminine hero potboilers to her beloved children’s classics), O. Henry, Jack London, and several 20th Century scribes. Writers who spent their entire careers in the realm of lurid magazine covers and cheap paperbacks are generally ignored, dismissed, or reviled by the literati. Take the fellow best known by the nom de plume Max Brand who also used a dozen or more monikers to cover his astonishingly profuse output. He wrote more than 500 novels—for the pulps and almost as many shorter stories. That represented a literary output between 25 and 30 million words. New books based on magazine serials or previously unpublished work continues to appear. That would average to average a new book every four months for seventy-five years. And he continues to be reprinted almost every week each year, somewhere in the world. Most of his works were westerns, a genre once phenomenally popular with the public but which has largely fallen out of fashion. But he also churned out romances, fairy tales, legends, allegories, fantasies, dreams, animal stories, and psycho-dramas. His hospital stories about the idealistic young Dr. Kildare and his crusty mentor Dr. Gillespie spawned a lucrative movie franchise, radio series, and two TV series. More over the quality of all of this vast output was astonishingly good, not only readable in that page-turning-entertainment sort of way, but also notable for a fluid style and an untypical tendency for not-so-sympathetic lead characters—today we would call them anti-heroes—facing the dark nights of their own souls. Frederick Schiller Faust was born in Seattle, Washington on May 29, 1892 to Gilbert Leander Faust and his third wife, Elizabeth Uriel. His German father was a lawyer, land speculator, bank president, and lumber-mill owner, and his mother was of Irish stock. When he was young, Gilbert fell on hard times and moved the family to the San Joaquin Valley of California where he hoped to rebuild his fortunes. Young Frederick’s beloved mother died when he was eight. The boy consoled himself by retreating into books adventure books about knights in shining armor and other swashbuckling heroes. He ate up The Idles of the King and other Round Table yarns, Robin Hood stories, Sir Walter Scott, and Robert Lewis Stevenson. He even tried writing his own stories in his school essay books. Then at age 11 his father died leaving him an orphan and penniless at age 11. Forced to shift for himself, he went to work as a farm worker, harvest stiff, casual laborer, and even sometimes as a ranch hand. It was a life of punishingly hard labor which took a physical toll on his small frame. In fact he may have injured the heart which gave him life-long problems. He hated every minute of this drudgery. But it was more than just resentment over having to work so hard, he felt alienated by those he worked with and for who, he said, “wouldn’t or couldn’t speak English,” by which he meant the elevated English of the “life of the mind” for which he yearned. He tried to keep up with some schooling but sporadically attended 11 different schools before a distant relative, Thomas Downey, the principal of Modesto High School, took him in and introduced him to the classics of Greek and Latin. The boy was adept and absorbed these classics and mythologies, all of which he mined for his later work. 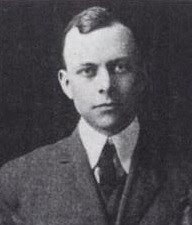 With Downey’s help Faust gained admission to the University of California at Berkeley where the young man thrived as the as the editor of the Pelican, a campus humor magazine, served on the staff of the Occident student newspaper, and the yearbook in his senior year. Despite completing four years work and all of his requirements, Faust, always resistant to authority, so offended the University President with something he wrote and was denied graduation with his class. With no diploma to show for his work, Faust worked briefly for a Honolulu newspaper. World War I was already raging in Europe, and young Faust, steeped in the romantic stories that he loved, yearned to prove himself. He went to Canada where he enlisted in the Army. But before he could be shipped to France, some other row with authority erupted and he deserted returning to the United States. When the U.S. entered the war in 1917 Faust, then in New York City, rushed to enlist. His medical examination turned up his damaged heart and he was rejected. He was rejected again when he tried to get into that destination of many young writers, the American Field Service Ambulance Corp.
Fredrich Faust as a young pulp writer. Disappointed that he was missing the experience of his generation, Faust returned to California where he married an old sweetheart, Dorothy Shillig with whom he would have a happy marriage despite his sometimes dark moods and heavy drinking. Together they had three children, Jane, John Frederick, and Judith Anne. In 1919 Faust contracted the deadly Spanish Influenza which further weakened his heart. One of Faust's early successes was the publication of this novela in a 1918 edition of The Argosy. A swashbuckler like the tales he loved as a boy, he used two of his regular nom de plumes. By that year Faust was already supporting his family as a hard working writer. 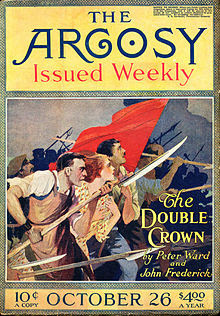 He published his first short stories in 1917 in All-Story Weekly, and Argosy. In his third story he first used his most well-known pen name, Max Brand. He adopted the name because his very German sounding name was an anathema during the hyper-nationalism sweeping the nation during the war. It was no great loss to him. He never intended to use his real name for the pulp work he did just to support his real ambition—to become a world class poet. In fact the only work he published under the name Fredrick Faust during his lifetime was poetry which, alas for him, was never well received. He was perhaps too steeped in the romantic stuff of his youth and where his fiction often seemed fresh and modern, his verse was out of step with modernism, old fashioned, and somewhat too fussily wrought. 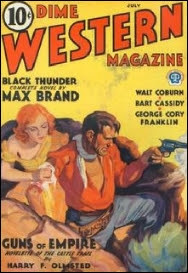 An early Max Brand pulp magazine western. Publisher Frank Munsey’s two magazines, especially All-Story Weekly, quickly became Brand’s first major home, although he peddled stories to other rags under a variety of names. His earliest stories were not westerns, but covered a number of adventure genres. One, a mining yarn, was set in the contemporary west. When Munsey’s biggest star, Zane Gray, jumped to better paying slick magazines, the publisher encouraged Brand to try his hand at westerns. Initially unenthusiastic, even resentful, he tried his hand at it. His earliest stories even caged some of Gray’s plots and situations. But Brand quickly realized the western was the perfect update for the swordplay epics he had loved as a child and was also a place where mythic archetypes could work out their implacable destinies. Where Gray had specialized in florid descriptions of the Western landscape and detailed descriptions of ranch life, Brand specialized in psychological reflection. His heroes at their best tried to contain a basic rage and brutality, often failing. His women were strong, resourceful, and often startlingly independent yet they held out to the flawed men hope of redemption, sometimes allowing them to come to peace with civilization itself. 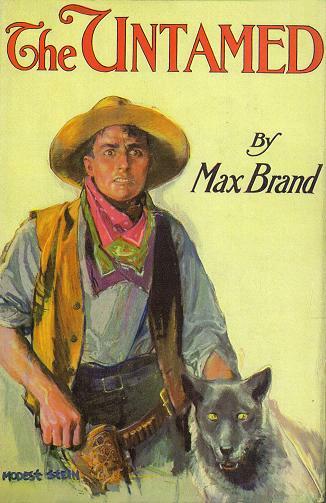 In 1918 Putnam published Faust's first western novel, adaped from a pulp seial, under the name Max Brand. After several successful stories and novellas, Brands first novel between the boards, The Untamed was expanded from a magazine serial in 1918 and published by Putnam in 1919. It is still highly regarded by western buffs and set a standard for more work. In it antagonist Dan Barry battles a bad man whose defeat in a brutal fist fight gives him. “a first taste of blood.” Brand followed up with three more Barry books in which he battles bad guys, his own rages, and is finally somewhat softened by the love a woman. But in the final book, the woman shoots and kills Barry to prevent his brutality from ruining the life of their daughter. Not the usual western fantasy found in the pulps. In another book Brand would tell the story of the daughter coming of age in the shadow of her father’s past. The books were all enormously successful and the greatest movie cowboy of the day, Tom Mix, made a film of The Untamed. In the early 1920’s Brand shifted his primary allegiance to a new, better paying, publisher—Street & Smith and their Western Story Magazine edited by Frank Blackwell. Blackwell was so enamored of Brand’s work that he often turned out whole issues—two novellas, a serial, and a short story entirely comprised of his work under a myriad of pen names including, in addition to Brand, including George Owen Baxter, Evan Evans, George Evans, David Manning, John Frederick, Peter Morland, George Challis, and Frederick Frost. Brand was well on his way to financial success and security when he suffered a massive heart attack in 1921 at the age only 29 which severely weakened him and left him semi-invalid for a while. Fearful for his life, he only redoubled his work output to provide for his family in case of his early death. He was known to dash off 12,000 words over a weekend and kept up a merciless publication schedule. By the mid-20’s he was hailed as the King of the Pulps. Both the magazine pieces and the regular appearances of novels based on them by Putman, sold quickly and Brand’s price per word soared above the pittance offered by the pulps to most writers. By 1926 Brand was able to take his wife and family to Florence, Italy where they resided comfortably at his home, Villa Negli Ulivi. The pleasant weather and surroundings were good for his health, which improved, and he was able to do all of his work via the mails. It was there that in 1930 Brand created one of his most popular characters, Destry, who first appeared in the serial Twelve Peers and adapted for book publication as Destry Rides Again. It was a typical Brand story of a reckless cowboy and gunslinger framed for murder and out for revenge against the jury which had been stacked with his many enemies and sentenced him to a long stretch in prison. As Destry gets his revenge on his release one by one, he is saved by the love of the girl who never believed he was guilty and stayed with him. The book is widely regarded as a western classic. Destry Rides Again was Tom Mix's first talking picture and one of his last films for a major studio. The story was completley different than Brand's succesful novel and was the model for subsequent versions with James Stewart and Audi Murphy. Naturally, it was quickly optioned to the movies. 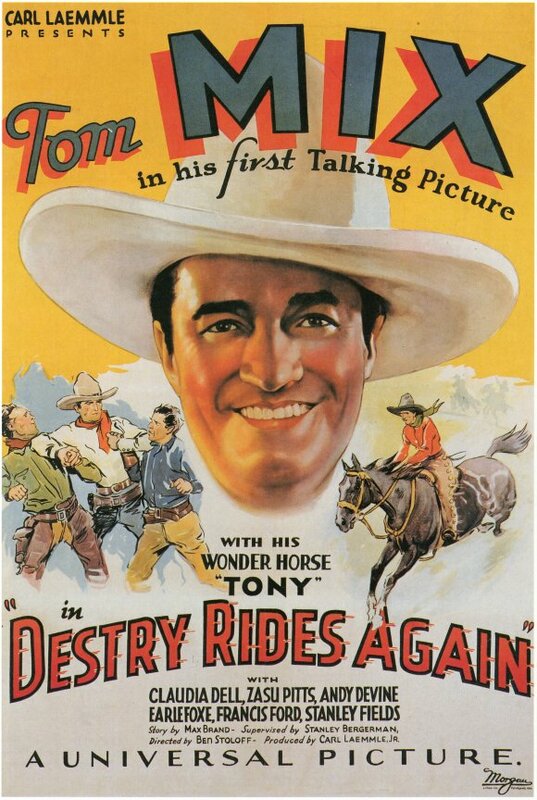 Tom Mix made the first version. But it and subsequent versions had little to do with the book. In fact it had a totally different plot and Destry’s first name was changed to Tom, probably for Mix. The most famous version, staring James Stewart and Marlene Dietrich followed a similar plot to the Mix film, about the innocent and idealistic young lawman who after killing one man swears never to use his guns to kill again, despite his legendary skill with them. Of course he is eventually forced to take them up again after the saloon singer who took a fancy to him despite being allied with the villain takes a bullet trying to save him. A third version starring Audie Murphy followed the earlier movie plots. Despite the changes, Brand was glad to take the money—and to see that his original story remained perpetually in print, as it does to this day. By 1936 the political situation in Italy made Brand’s continued residency in Florence untenable. He and his family returned to the U.S. By this time he had left the pulps mostly behind. New stories and serials were snapped up by the better paying popular slick magazines like the Saturday Evening Post. 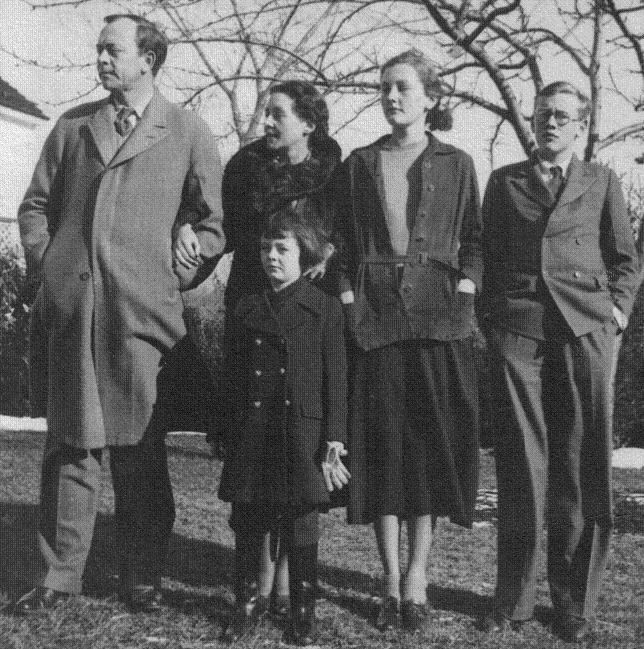 Frederich Faust and his family in the late 1930's. In 1937 Brand created his most enduring character, not a cowboy or gunslinger at all. Dr. James Kildare first made his appearance in magazine stories but was quickly snapped up by Paramount Pictures as the lead character for the film Internes Can’t Take Money starring Joel McCray as Kildare and Barbara Stanwyck as the widow of a gangster and ex-con herself. It was originally more of a gangster movie into which the young doctor stumbled, as one might expect of Brand. 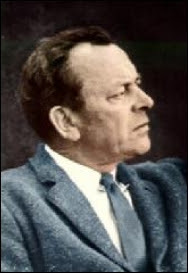 Brand wrote the screen plays for the first six Dr. Kildare films, a phenominally popular MGM series that boosted the studio A picures when they appeared on double bills. MGM snapped up the rights to Kildare out from under Paramount’s nose, which hadn’t given a thought to his potential for a movie series. Brand was enlisted as a script writer. In the new incarnation started with Young Doctor Kildare with Lew Ayers as he intern and Lionel Barrymore as a new character, Dr. Gillespie, the wise but crusty hospital chief of staff who takes the young man under his wing. That film and seven sequels largely revolved around that relationship as Ayers acts as a medical sleuth, diagnosing and treating mystery cases with Gillespie’s guidance. 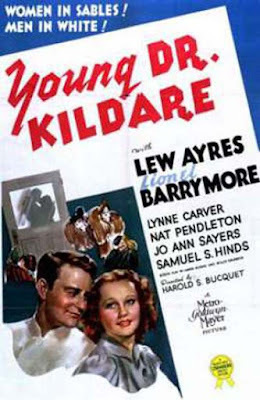 The series was so successful that after Ayers was dropped during World War II for his pacifism, Van Johnson continued on with Barrymore as a new intern, Dr. Randall “Red” Adams. Brand was not involved with these final films, but continued to receive screen credit—and, of course, royalties. The character would be revived in the hit NBC 1961-’66 television series Dr. Kildare starring Richard Chamberlin as the protégé and Raymond Massey as Dr. Gillespie. The show, along with Ben Casey which premiered the same year on ABC, established the hospital/doctor TV genre that remains a mainstay of the medium. A 1972 syndicated program Young Dr. Kildare lasted only 24 episodes. America’s entry into World War II revived Brand’s determination to get into the war despite his age and ill health. He tried several times to offer his services in some way, but was turned down. Finally, in 1944 he became a war correspondent for Harper’s magazine by hiding his heart ailments from him. He first covered the 212th Marine Fighter Squadron's operations at Guadalcanal. 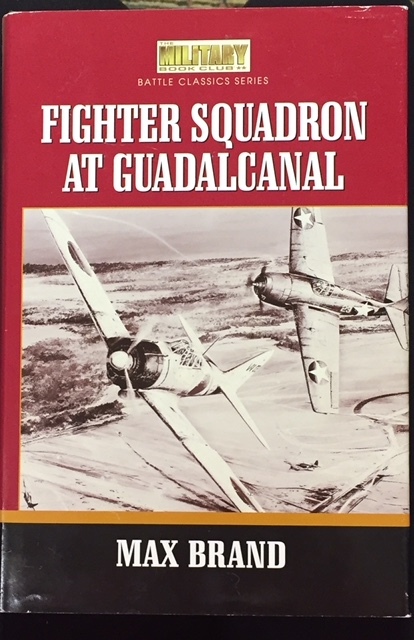 His book length non-fiction account was found in manuscript 40 years later and finally published as Fighter Squadron at Guadalcanal in 1996 by the US Naval Institute Press. It received high praise from military and aviation historians. Latter in 1944 Brand was with the infantry in the front lines of the notoriously hard and brutal Italian campaign. He earned the admiration of the young troops more than a generation his junior sharing their hardships amid the mud and mire and was often exposed to fire. On May 12, 1944, days short of his 52nd birthday, Brand was mortally wounded along with several young soldiers in an artillery attack. Bleeding from multiple shrapnel wounds, Brand refused treatment from medics until all of his young companions were tended to. By that time it was too late. The death of such a famous writer at the front attracted a lot of attention. President Franklin Roosevelt, after reviewing the official Army account of the incident, publicly praised Brand for his final sacrifice. Great summary Patrick! He was my Great-Grandfather. We're currently trying to find a home for two projects. One is a more faithful to the book version of DESTRY that will utilize many of Faust's more supernatural concepts as well as explain why Destry gave up guns and why he had to pick them up again. That would be ideal as a standalone feature film or trilogy. The second project is a serial ideal for Netflix, that cuts between his real life and what he was writing at the time. The working drafts always start with him on the battlefield in Italy, but if we utilize the modern story telling method, which loves to tell things non-sequentially, we could encounter scenes from those final days on the battlefield throughout a season or even the whole series. The challenge is relating scenes from his novels with scenes from his life that will drive the story as well as enlighten.